The fourth quarter is well under way and the pressure is on to hit the numbers for the end of the year. So what better time to bring on board some fresh blood and shake things up a bit. Here is the roundup of some of the moves in the channel this week. The broadband and telecoms specialist has hired six staff to take the number of people in Romford office to 36. At the same time the firm has taken more office space to make sure it has the capacity to support its growth targets. The new recruits have joined the internal sales team providing direct support to resellers and driving recruitment for DMSL’s main partner suppliers, BT, Gamma, Virgin Media Business and Vonage. The distributor has set up a specialist security business unit which will be run by Robert Stockford with a team of 20, which includes 10 new recruits. Stockford has been with the channel player since July, being brought on with a specific brief to grow the security business. 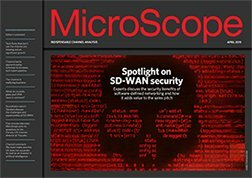 “With more customers now looking to make the most of virtualised and hyper-converged infrastructures, software-defined solutions and cloud-based appliances and services to enable much more flexible, scalable and networks and mobile environments, the need for expert advice and professional services on security has never been greater”, said Stockford. The storage player has appointed William Miller as its CIO. His role will include working on the vendor's customer programmes. Ron Pasek, executive vice president and CFO at NetApp, said that just like its customers the firm needed to go through a process of digital transformation and Miller was the man for the job. The IoT specialist has unveiled Håkan Johansson as northern European sales director, which covers the UK, Ireland and the Nordics. "Axis is a manufacturer with an indirect channel and go-to-market strategy, which I see as very positive and exciting. It is a great privilege to work for a company of Axis’ calibre, with highly skilled engineering teams and a professional, trustworthy sales strategy," he said. Industry veteran Simon Chappell, who previously founded and led Backup Technology before it was acquired by the Iomart Group, has re-enetered the market to get involved with cloud data management. He has reached out to former colleagues: Rob Mackle, who becomes CEO, and Stew Parkin joins as Technical Operations Director. More appointments and expansion plans are due to be announced shortly.